kinsa man ga ingon nimo na herring na nga isda ge gamit sa bueno sardines? "Fresh herrings from the ocean are caught, directly processed and cooked (salted and seasoned) into sardines..."
Dude,you can't turn a herring into a sardine. The terms "sardine" and "herring" refer to a different variety of fishes. It seems you have mistaken the term "sardines" to refer to a fish that has undergone processing. Nein, es ist nicht. 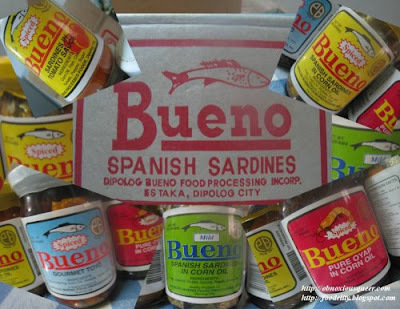 where can i find bueno sardines in manila? ?